Isn’t it awesome when you’re exhausted because you’ve been having fun!? On Friday my Glugster came home from work a smidge early, and we went grocery shopping. Once again we came in on budget, including dog food, cat food and meat. That always feels like a win! 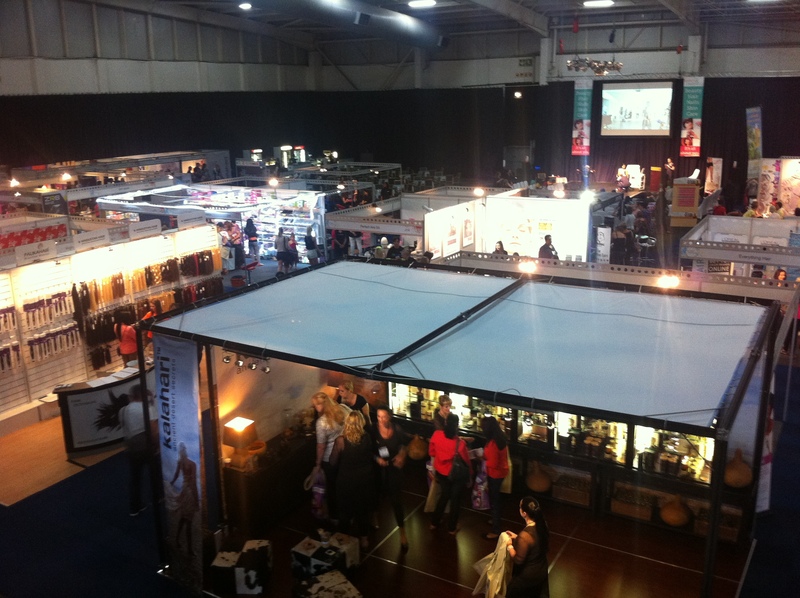 On Saturday morning my mommy darling came with me to the Beauty & Wellbeing Expo at the Gallagher Convention Centre, which is around the corner from where I live… But because there was a bloody Amway Convention happening in the hall next door, we took over an hour to get there! It was insane! And there were actually people scalping tickets at the entrance like it was a rock concert or something! 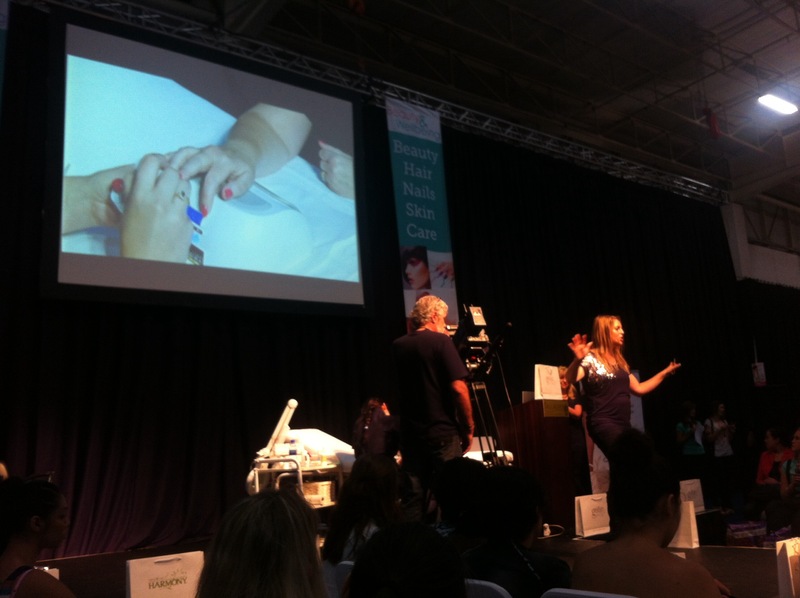 The Beauty Expo was great fun. My mommy darling and I don’t often get to do things together with just us two, so when I won tickets from Wenchy, I called my mom immediately! Along with my two tickets, I also won a Wand-A-Brush set which I claimed at the Expo, and I got a little hamper with Himalaya Herbal Healthcare products in it. Walking around the Expo was very interesting, and I couldn’t believe how many different stands there were for nail care and polishes! And my mom and I walked away shaking our heads, from a stand advertising a hormone injection that gives you a tan!! We watched an aerobics demo, and a make up demo where the very flamboyant make up artist actually put blusher between the models’ fingers and behind her ears! Then we watched a gelish presentation and they were handing out samples of their Magneto lacquer! I got a pinkish-red “Electric Metal Lover” and my mommy darling got a silver-grey “Iron Princess“, and then I won a prize by answering a question – a gelish nail treatment at Sorbet and another Magneto colour, a green “Polar Attraction“. On Saturday evening, we had a few friends over to celebrate my Glugster’s birthday. We had a lot of laughs and WAAAY too much tequila and strawberry liqueur, and we were done and in bed by 11PM. ‘Coz we’re old and thats how we roll. And we only clicked the next morning that we hadn’t eaten the whole of Saturday, which was why we felt so horrible on Sunday! On Sunday, mine and my Glugster’s parents came over for a birthday lunch. While I was preparing ingredients and getting ready for lunch, my sweetheart delivered our Santa Shoebox to the drop off point and while he was gone I realised I hadn’t taken a picture of it! 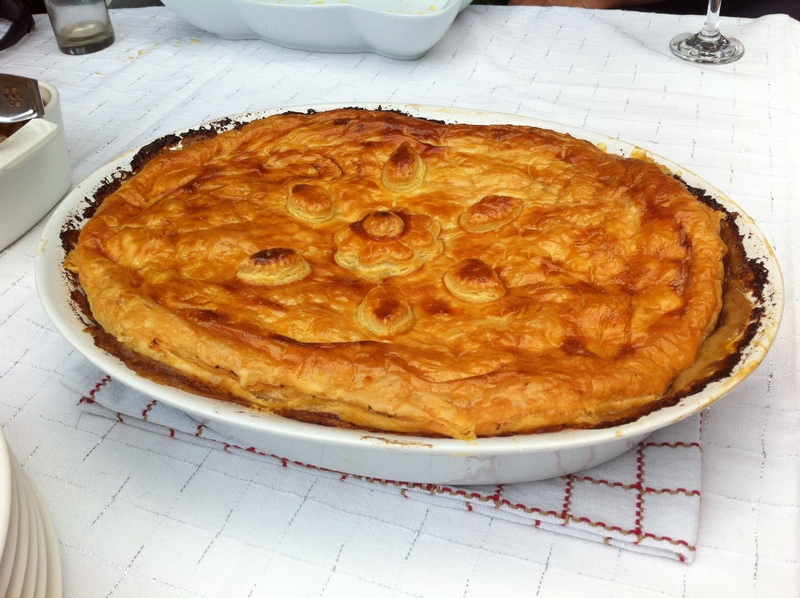 Anyhoodle, when I asked my Glugster what I could cook for him for his birthday he said, “chicken pie”, so on Sunday I made my first ever pie! It was delicious, and a complete diversion from our healthy eating plan – even more so when I served it with grilled potato wedges! All in all we had a wonderful weekend, and early on Sunday evening I fell so deep asleep I didn’t even hear my darling husband cooking the leftover chicken breasts that I didn’t use in the pie (so they wouldn’t go off) and tidying the kitchen for me! Do I have an awesome husband or what!